In 2018, between snow storms, hurricanes, flooding, tornadoes and more, North Carolina saw its fair share of disasters. These natural disasters not only took a physical toll on NC residents, but also created financial and emotional burdens. Though the impact of future storms and other disasters is impossible to predict today, there are steps everyone can take now to reduce the risk of property damage and loss of life. Start out 2019 with an emergency plan in place to make sure your family is ready when disaster strikes. Disasters don’t plan ahead, so preparedness is key to being ready during emergencies. Planning for disasters—whether manmade or natural—will ensure you and your family are ready. Be aware of your area’s risks of floods, fires, tornadoes and other disasters when creating your family’s emergency plan. Signing up to receive emergency alerts from county, federal and state emergency management teams gives you access to vital information from trusted sources when it matters. The emergency plan lays out how your family will respond during an emergency. A plan should include where to go, what to do and how to reconnect during a disaster. Once an emergency plan has been created, be sure to practice it with all members of your family. Make sure your plan includes what to do if a disaster happens while your family is in separate locations. Filling out a family emergency plan is a great start. Taking the initiative to plan now will help you have better control of the situation during an emergency. 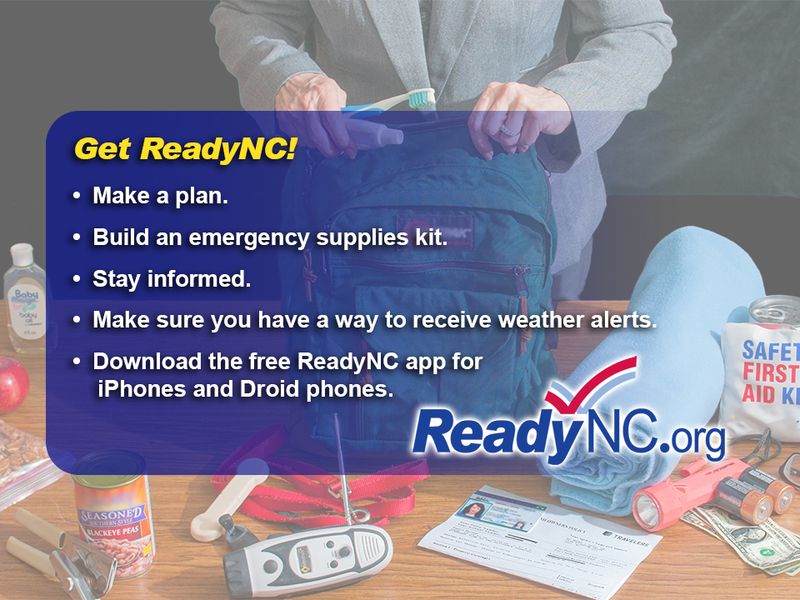 Emergency kits are a vital part of every emergency plan. These kits are a collection of items families need during or after a disaster. Since disasters can affect basic services like water, gas, power, phone lines and more, emergency kits can make a difference for the hours or days families are on their own. All family members should know where the emergency kit is stored if it is needed when sheltering in place, and the kit should be easily accessible in the event of an evacuation. Don’t forget pets when building emergency kits and be sure to refresh food supplies occasionally. You can also be ready for winter weather with a car emergency kit that includes a flashlight, jumper cables, ice scrapper, first aid kit, blanket and sand/cat litter. Have important financial, medical, and other critical personal information available in a safe place on the cloud, in a safety deposit box or a flash drive so you can access them if original copies are destroyed or lost. Having these available will help with the registration process during recovery. Set up an emergency savings account that can be used in a crisis. Obtain homeowners/renters, health and life insurance policies if you do not already have them. Homeowners insurance does not typically cover flooding, so consider purchasing flood insurance if your area routinely floods. Floods are the most common and costly natural disasters. Start planning now, because when a disaster hits, it’s already too late.